As construction continues on the new North Alabama Medical Center (NAMC) hospital campus in Florence, RCCH Healthcare Partners and Rendina Healthcare Real Estate have broken ground on a nearly 72,000 square foot medical office building (MOB) that will be attached to the new hospital. The MOB will house complementary services to those offered in the new 263-bed medical center, which will replace Eliza Coffee Memorial Hospital by the end of 2018. 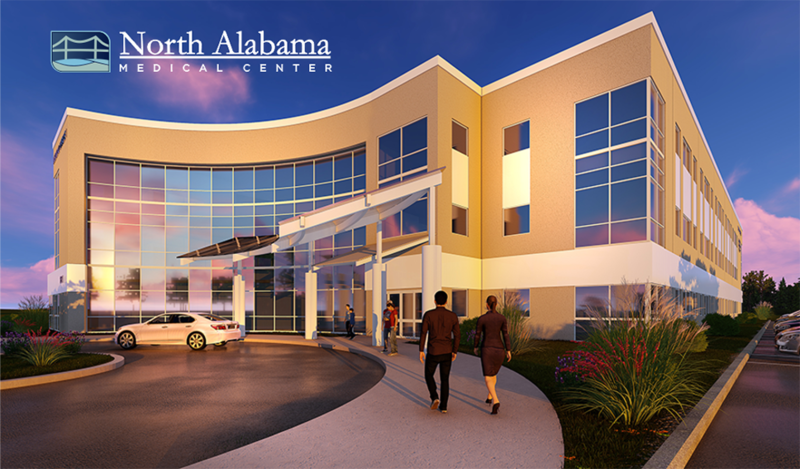 NAMC and North Alabama Bone & Joint Clinic (NABJC) – a leading orthopaedic group serving communities in Northern Alabama, Southern Tennessee, and Northeastern Mississippi – will anchor the office building. NABJC’s orthopaedic surgeons, rehabilitation specialists and physical therapists will offer services including adult reconstructive surgery, sports medicine, hand and foot surgery, pediatrics, and fracture care. NAMC lab and imaging functions will also be in the MOB, along with obstetrics, gynecology and cardiology physician offices. 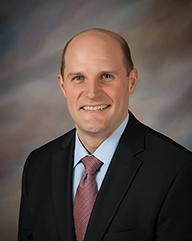 “This outpatient medical office building will be an important addition to our new hospital and will provide a convenient location for patients to visit their physician or obtain services,” said Russell Pigg, Chief Executive Officer of NAMC. Rendina, a full-service developer of healthcare real estate headquartered in Jupiter, Fla., will own and manage the new medical office building. During the initial construction phase of the new campus, physicians, nurses and hospital leaders were able to get a sneak peek of their future space through virtual reality tours setup by the project contractor, Layton Construction. Being virtually immersed in the space allowed hospital staff to recognize potential issues and make the appropriate design changes, ensuring the final product would optimize efficiency and patient flow. RCCH continues to celebrate milestones during the construction process, including a topping out ceremony in July 2017, commemorating the placement of the highest steel beam which was signed by more than 2,000 people including board members, medical staff, construction crew members, and community leaders. Once completed, the hospital will centralize care in the community of Florence, providing a local option for patients seeking state-of-the-art, comprehensive treatment. Rendina anticipates that the MOB opening will coincide with completion of the new hospital in late 2018. RCCH Healthcare Partners is headquartered in Brentwood, Tennessee. With 16 health systems in 12 states, they employ more than 14,000 people, including 2,000 physicians. Last year RCCH generated $1.7 billion in revenue across their locations in Alabama, Arizona, Arkansas, Idaho, Iowa, Montana, Ohio, Oklahoma, Oregon, South Carolina, Texas, and Washington.